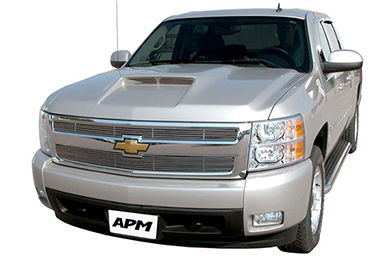 Read 11 customer reviews about APM Body Kits that have an average rating of 4.5 to find out what product is best for your vehicle. This is the best thing I have bought for Dodge Ram yet. You have to get the optional air box for it to work like you want it. My truck sounds louder and it gets up and goes faster. Also I went from doing 18mpg @ 60 to 21.5mpg average!!!! The price is a bit steep but I think its worth it. You will have heads turning to look at it. Reference # 754-010-649 © 2000-2019 AutoAnything, Inc.